neighbourhood of Essen-Gerschede where he develops his unique style between palm trees, white beaches and the Autobahn 42. 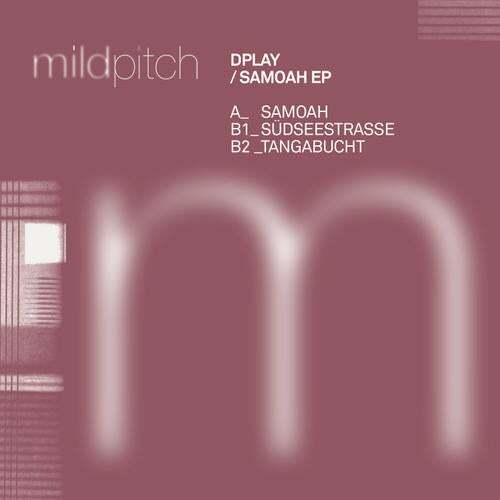 Starting things off on the A-side is the title track Samoah, a hypnotic 10-minute corker that needs only few elements to patiently destroy any dancefloor that gets in its way. Straight beats, a steadily rolling bassline and endless layers of synths make this one a definite highlight in the young Mild Pitch catalogue. The B-side offers some rather funky action: Südseestrasse reminisces about shaking Chez'n'Trent grooves and adds those trademark Dplay vibes, whilst Tangabucht combines odd Nu-Disco-sounds and rhythms with a subtle slo-mo rave feel. Avoid this if you're looking for predictable dance tracks!